Join us on Pinterest! Browse our 19+ boards for all kinds of tomato inspiration and practical information: exciting tomato gardens, tomatoes just off the vine, different tomato varieties, tomato art – even gardening quotes. Check our our page. Happy pinning! There are at least 3 different (and simple) ways gardeners classify tomato varieties. 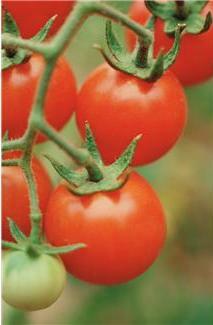 These classifications help you know which tomatoes are best for your garden and your situation. Determinates are a good choice for small gardeners because they grow to a predetermined size and then stop. 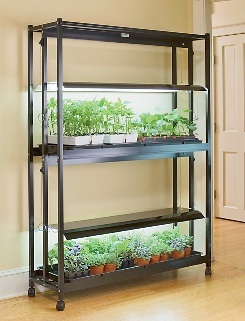 Determinates grow well in containers. Determinate tomatoes set the bulk of their crop at one time, a distinct advantage if you plan to can tomatoes or make batches of tomato sauce. Determinates don’t require a lot of pruning. In fact, it’s best if you avoid pruning tomato determinate varieties or pinch back only suckers that appear below the first flower cluster, or you will reduce your yield. Indeterminate tomatoes produce fruit all summer. Indeterminates offer a greater selection when it comes to color, size, and shape. Indeterminates continue to grow and set fruit until frost. In our next issue of Tomato Dirt, we'll tell you about classification by fruit shape.